The fact that Google AdWords can do miracles for your business doesn't mean this will happen, if you don't do your AdWords campaign the right way. If you don't know what you are doing, the most possible outcome is that you will blow lots of money with no to little effect. Since this is hardly what you want, you need to know how to prepare properly for the launch of your campaign. 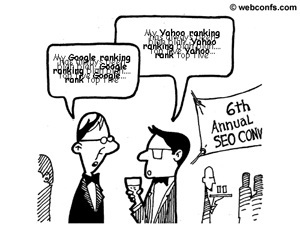 If you choose the wrong keywords you might be getting some clicks but no conversions. 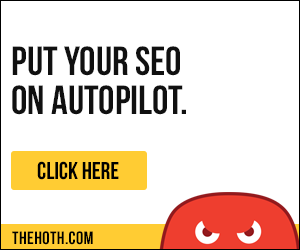 This is the worst scenario � you pay for clicks and get nothing in return. Obviously, keyword selection is a very, very important step in the process of preparation and this is why we'll deal with it exclusively in the AdWords Keyword Research Chapter. Before we start with keyword research itself, there is some more preparation to do. First, we need to identify whom we are selling to. Basically, we are not interested in demographics, such as age, gender, social status, income, etc. Demographics data is interesting to know but unless we are selling to a particular age group, gender, social status, etc. mainly, this data is simply irrelevant. What we are after is a more general description of our target clients. "Individuals who are interested in natural cosmetics and who are actively searching to purchase nonexpensive natural cosmetics." This brief description will help us when we start with keyword selection, so mark it, or even copy it on a piece of paper and have it handy for later. After you have done your homework with keyword selection (see AdWords Keyword Research Chapter about how to do it), you are ready to launch a campaign. 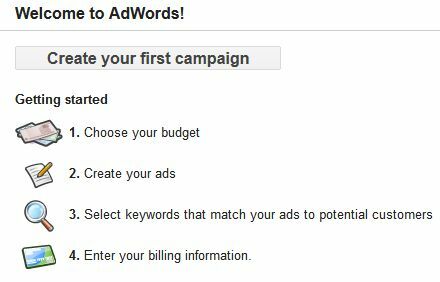 Go to https://adwords.google.com, click the Start Now button and create an AdWords account, if you don't have one yet. After you log in, from the Campaigns tab select New Campaign � this is the easy part. The not so easy part is to figure out what a campaign is and how it is different from an ad group. In this and the next sections we'll try to explain this. Basically a campaign is the largest entity and it contains ad groups, which in turn contain the separate ads. Campaigns are good for product groups. For instance, if you want to advertise clothes, electronics, and cosmetics, it's best to create three separate campaigns for each of them. If your customers aren't global, it makes no sense to waste money on clicks for countries and languages you can't serve. This is why you need to pick your country, region, state, province, or even city. You can really fine-target your campaign geographically because Google AdWords allows to set areas, metro areas, zip codes, etc. Under Networks and Devices, you can choose which networks and devices your ads to run on. As already explained in the previous chapter, Display Ads, Search Ads, and the other networks in Adwords define where your ads will appear. If you don't want some networks, such as Search Partners or Display Network, you can deselect them from here, so you don't pay for clicks you are not interested in. Check what's appropriate here. It's recommendable to set a daily budget, so if you see your ads are not converting well, you don't lose much money before you know it. 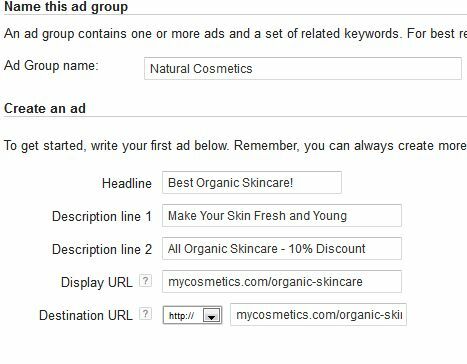 Before you can start a campaign, you need to create an ad group, so in the Cosmetics campaign, create a Natural Cosmetics ad group, for example. You will use this ad group later as a container where you will put multiple separate ads. Later in this tutorial you'll learn how to write ad copy that sells, so for now don't create the ad yet because you don't know how to do it properly. Probably you are asking yourself why you need so many entities � campaigns, ad groups, ads. The answer is that this is because you are given more flexibility. For instance, the separate ads in one ad group get AB tested. Also, if you have multiple ads with the same keywords and bids, you can set all the keywords and bids at ad group level rather than have to set them one by one for each separate ad. This is why, even if you plan to run only one ad, it's best if you make things organized properly and create a campaign first, then within this campaign create an ad group, and finally place the ad itself in this ad group. This might sound too much work but when you expand your advertising, you will appreciate how easy it is to add new ads when you have the proper structure in place. Now, when you have your campaigns and ad groups in place, you can create the ads themselves. However, since you don't know yet how to write the title and the ad text, you might want to wait a bit before you create an actual ad. Some of the other fields also require some explanation. For instance, you might be wondering what Display URL and Destination URL are. Display URL is the URL users will see, and Destination URL is the URL they will be taken to. They can be the same URL but they can also be different URLs, especially if you are using your affiliate link and wouldn't like it to be displayed to the users. In this case you enter something nice for Display URL and your long, ugly, and unreadable affiliate link as Destination URL. The keywords you will research in Chapter 5 are the next item to insert. You also need to set your max bid per keyword (called Default Bid). If you are on a tight budget, you can start first with the cheaper keywords even though they are less profitable because if you can spend $20 a day and your most lucrative keywords are $5+ a click, this means you will get only 3 to 4 clicks a day, which is absolutely irrelevant for analysis of any kind. Now have a look at everything you have entered so far to make sure it's OK, enter your billing information and you are basically ready to go. There will be a lot of tweaking later but for now this is what you need to do in order to kickstart your AdWords campaign.